Currently filming TVB’s The Learning Curve of a Warlord <大帥哥>, Dicky Cheung (張衛健) is not in the best of places. The hot summer weather is suffocating, and the long filming hours are giving him a headache. 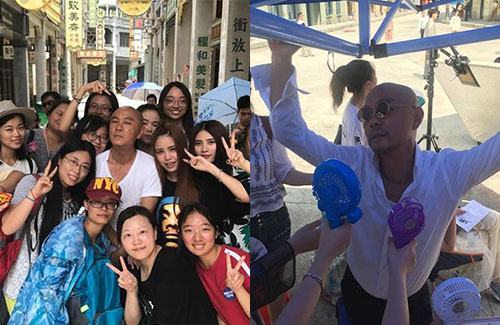 But the 52-year-old actor, who hasn’t filmed a TVB drama in over 20 years, has found ways to cool down. A while ago, the drama team went to the Xiqiaoshan National Arts Studios in Foshan for principal photography shooting. Performing a blessing ceremony in front of hundreds of staff members, Dicky promised the crew that he would not lose his temper. Agree. It’s also annoying to read that Dicky seems so proud to be given ‘special treatment’ by the crew. I prefer senior actors who are humble/low-profile despite their good acting and reputation.